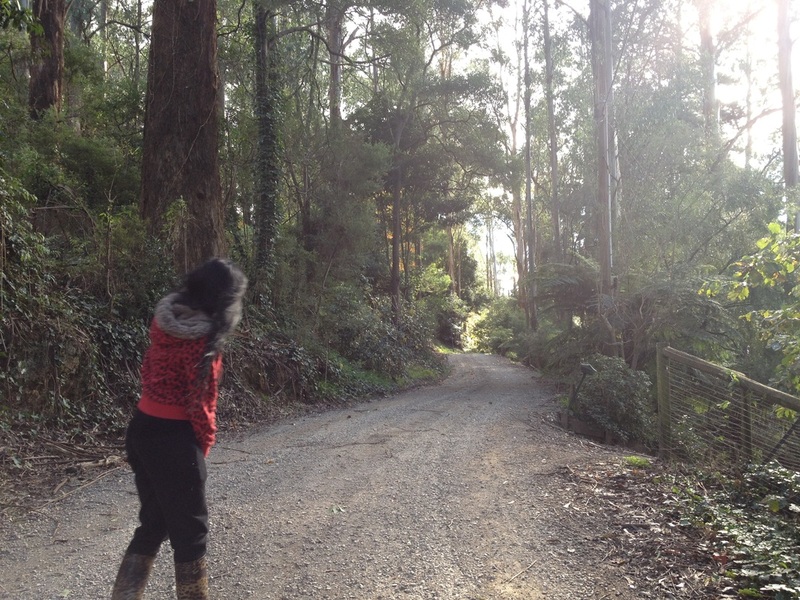 Driving down an isolated, gravel road amongst the forest of the Dandenong Ranges, a woman finds herself following what appears to be a fox. As the animal strolls confidently down the road, she notices it seems to lack the typical features of the common introduced pest. Its tail does not resemble that of a bushy, fox-like tail. Instead, it is thin and straight with dark stripes following from its lower back to the tip. Its jaw is fuller and its stride is unusual. As the woman approaches slowly in her vehicle, the animal turns to look at her. She opens her car door to approach it on foot, but it abruptly disappears into the roadside scrub. What Justine Merry encountered is not uncommon in the area. Many locals in the Dandenong Ranges and surrounding suburbs claim to have sighted this unusual creature, a creature that all too closely resembles that of a Thylacine. 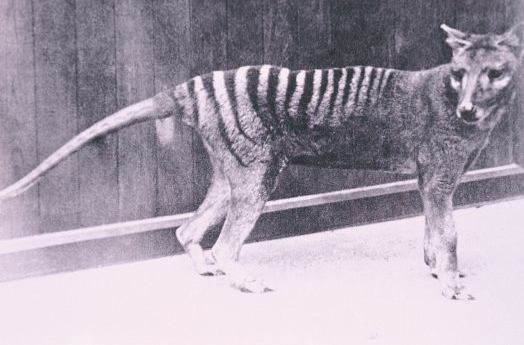 The Thylacine, better known as the Tasmanian Tiger, was driven to extinction in the early 1900s by farmers and bounty hunters who blamed the species for the killing of sheep and other livestock. 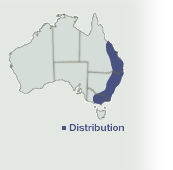 However, the mysterious sightings of a similar looking creature are common and ongoing in Victoria, Southern and Western Australia, raising the question as to whether they are actually extinct. Member of the Australian Rare Fauna Research Association (ARFRA), Dorothy Williams, has spent the past twenty years researching the Thylacine and its possible existence. “You cannot prove non existence, you can only prove that nobody has seen one,” she states. Ms Merry explains that although initially she presumed the animal to be a fox, she is familiar with the common animal and believes that the creature she saw did not have the main features of a fox. “I am constantly on my farm witnessing foxes and different animals in our eco system. All I know is the foxes that are on my property don’t look like that,” explains Justine. Ms Williams describes Ms Merry’s encounter as common. ‘It is quite a typical thylacine sighting to say that it was crossing the road and ‘it was just looking at me,’” Ms Williams explains. Ms Williams first gained an interest in the Thylacine when she suspected to have heard one herself. “We only have descriptions. But there are a lot of descriptions from tiger hunters and researchers who were around at the time of their existence. One of the sounds was an indrawn breath, followed by a coughing bark,” recalls Ms Williams. She explains that this was the sound she heard a number of times while living on her bush-block in Monbulk. Ms Williams was even able to capture a recording of the unidentifiable sound. "It was only after joining ARFRA and becoming familiar with the group's research that I realised the noises I heard could well have been a Thylacine," Ms Williams explains. ARFRA founder, Peter Chapple, had chosen 1200 out of thousands of sightings for his MA thesis, using only those with a sound reliability rating. Using the information, Mr Chapple was conducting research based on the program Bioclim. This program identified specific habitats where rare species lived and sometimes led to their discovery in similar habitats where they have not been previously known. He used the program by identifying specific habitats where Thylacines were reported. “He was drawing up maps that gave evidence that the sightings matched the habitat, and not the nearest pub,” explained Ms Williams humorously. Ms Williams tells of how believing that something exists, despite scientific opinion claiming otherwise, can attract a lot of criticism and scepticism. “While the experts doubt the validity of our evidence, I don't think scientists are always free of bias. Nothing short of a body will convince them,” she says. But it is not just the scientists who are slamming down the possibilities; it can be the general public too. “You hear people saying ‘well if they really exist, then why aren’t people seeing them?’ Well people are seeing them. We all tend to act from preconceived ideas and to resist having anything change,” Ms Williams argues. Although some have managed to photograph what they believe to be a Thylacine, Ms Williams explains that photographic evidence is not always reliable, as you cannot always estimate size and can capture the creature at odd angles. Environmentalist and writer, Vivian Benton, spotted a thylacine crossing the road while driving early one morning with her husband, not far from where Ms Merry had her sighting. “At first I thought it was a dog, but its tail was different and it had stripes, and it also had a pronounced heel,” Mrs Benton explained. A believer in the possibility of the Thylacine’s ongoing existence, Mrs Benton raises the question of whether or not it would be in the species’ best interest to prove they are still walking the earth. “What would happen if the thylacine were to be discovered? Scientists would want samples to do testing. Someone would want it killed to parade its body. Is it better to be left along as a marvel mystery?” Mrs Benton asks. However, Ms Williams believes the rediscovery of the Thylacine could lead to more protection and preservation for the species. She explains that so many of our native species are endangered purely due to the spread of settlement and cities. “They talk about how many more millions of people we can fit into Australia, but I’m afraid that we fit them in at the cost of losing more of our wildlife,” she says. Through establishing the Thylacine’s existence, it is possible that steps could be taken to assist the species in once again flourishing in Australia. “The value we place on our unique wildlife has grown enormously. I would be glad to see its existence proved,” says Dorothy. For more images in relation to this story visit the photo gallery. The Patch Landcare group will combine efforts with the Monbulk Landcare group next month in hosting a trap-building workshop in an attempt to control the Indian Myna bird species. The workshop will take place on July 17 at the Monbulk Living and Learning Centre, where locals will be invited to attend and learn about the detrimental impact of which the bird has upon the Australian environment, as well as how to construct an effective trap. President of The Patch Landcare group, Jenine Jenkins, explains that although it may seem cruel, the Indian Myna species are pests and cause harm to native Australian wildlife. “Indian Myna birds are like the rats of the sky,” Ms Jenkins explains. The Indian Myna was first introduced to Australia in an attempt to control insect pests, however the introduction of the foreign species has since damaged native bird and small tree-dwelling marsupial populations. Aggressive by nature, this species chases out other birds and tree-dwellers from their nests, along with any offspring and eggs. They then use the nest to breed. Such behaviour makes it difficult for native species to exist harmoniously amongst each other or to breed successfully to ensure an ongoing and stable population. Both The Patch Landcare and Monbulk Landcare hope that the event will inform locals on how to control this particular species to better suit the environment. For more information about the event, contact the Yarra Ranges Council on 1300 368 333 or alternatively contact the Monbulk Living and Learning Centre on (03) 9756 7677. On a fresh autumn morning a small community gathers. The atmosphere nostalgic, a low mumble of conversation is dispersed among the group, accompanied by the screech of cockatoos nestled high within the Australian Eucalyptus trees. The sun is on the verge of rising, and a warm morning glow subtly lights the faces of the aged veterans, who gather here annually to remember. At six am the crowd is called to silence. As the distinctive tones of a lone bugle sing the Last Post, they reflect on the bravery and courage that was demonstrated by Australian men and women 97 years ago. Anzac Day in the town of Monbulk is celebrated annually amongst locals at the RSL. Located central to the main street, the historical building provides a meeting point for the community to gather and celebrate the traditions of the historical occasion, and has done so since 1946. President of the Monbulk RSL, Ted Beard, explains that although towns towards the inner-city suburbs may not always hold a service on the date of Anzac Day, Monbulk maintains a proud tradition of holding its celebrations on the 25th of April each year. 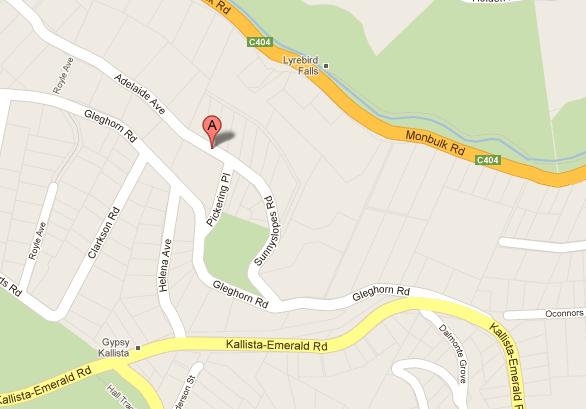 “It’s expected that the RSL does its own thing for Monbulk as a community,” Mr Beard says. The community participates in traditional Anzac Day activities such as the Dawn Service, a Gunfire Breakfast and a commemorative march down the main street, followed by an exciting game of ‘Two-up’. “Anyone is allowed to join in on Two-up. It’s a not-for-profit activity, it’s still expected to make money, but all the money goes back into the RSL for our welfare activities,” Mr Beard explains. Although it may be small, Monbulk’s sense of community is accentuated through their celebration of such an historical event, demonstrating strong mutual respect between the local people. Joyce Southcot may know a little about the importance of celebrating Anzac Day. Running away from home at 17, she felt an urge to make a contribution to the World War Two efforts, and joined the British Army of Occupation. Ms Southcot was assigned to type and organize records from the Belsen Concentration Camp, located in northwestern Germany. “It was a terrible place. The things that we read about, and heard about, you wouldn’t believe. People would do it,” she explains. Although Ms Southcot is born British, she worked alongside Australians in the war and is a member of the RSL, and praises the people of our country. “I think they’re marvelous. I think all of Australia is marvelous, I know I’m British, but it’s the best place in the world,” she states. Wally Felgate joined the Australian Army when he was 26 years old, and throughout his five years of service became President of the 9th Division of Cavalry. As a veteran, he is also a member of the Melbourne RSL’s Duckboard Club. Mr Felgate was stationed in the Middle East during his five-year service as part of the reconnaissance unit. Troops within the unit were to venture into Syria to ensure the Germans could not make a breach of the border into Turkey. “You were either luck or unlucky in your disposition. If you were sent to the wrong place, you were…you know, unfortunate,” he explains. But Mr Felgate also recalls his time as an Australian soldier fondly, reminiscing on the close bond that formed between the men that fought together on the battlefield. “It’s a form of association that you can’t get anywhere else, you take a lot of pride in your old mates,” he says. Anzac Day is a day on the calendar to not only remember those who fought bravely for our country, but to celebrate the Australian spirit, courage and mate-ship, which was demonstrated then and is demonstrated now. For more images in relation to this story, go to the photo gallery.